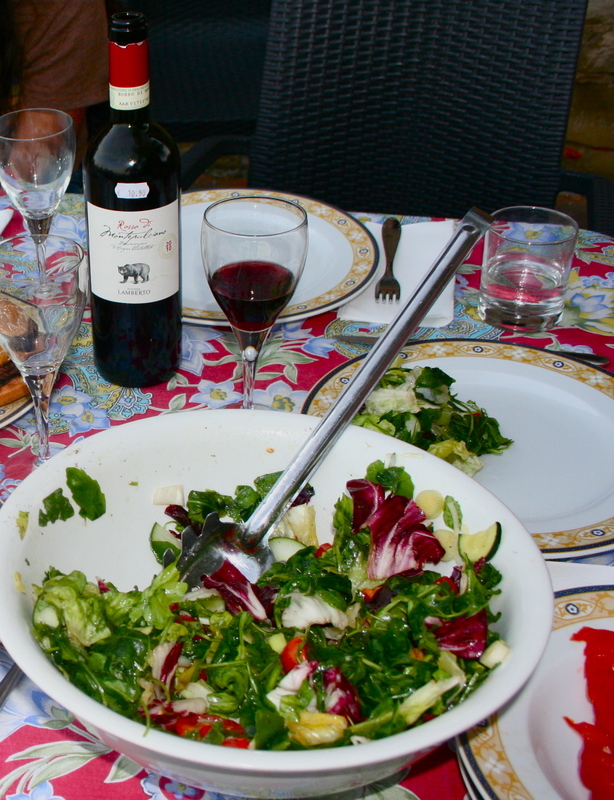 Salad greens fresh from the garden with local wine from Montepulciano. When you think of Italian food, your mind likely drifts to pizza, spaghetti, cold cuts such as Proscuitto and Parma ham or cheeses like Pecorino or Mozzarella. And you wouldn’t be wrong. 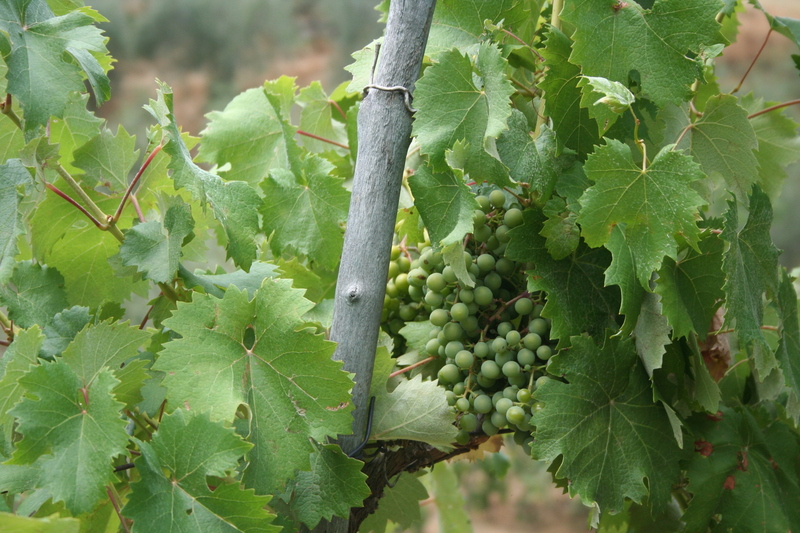 But I’m finding that the abundant fresh fruit and vegetables are just as much a part of the Tuscan daily life. 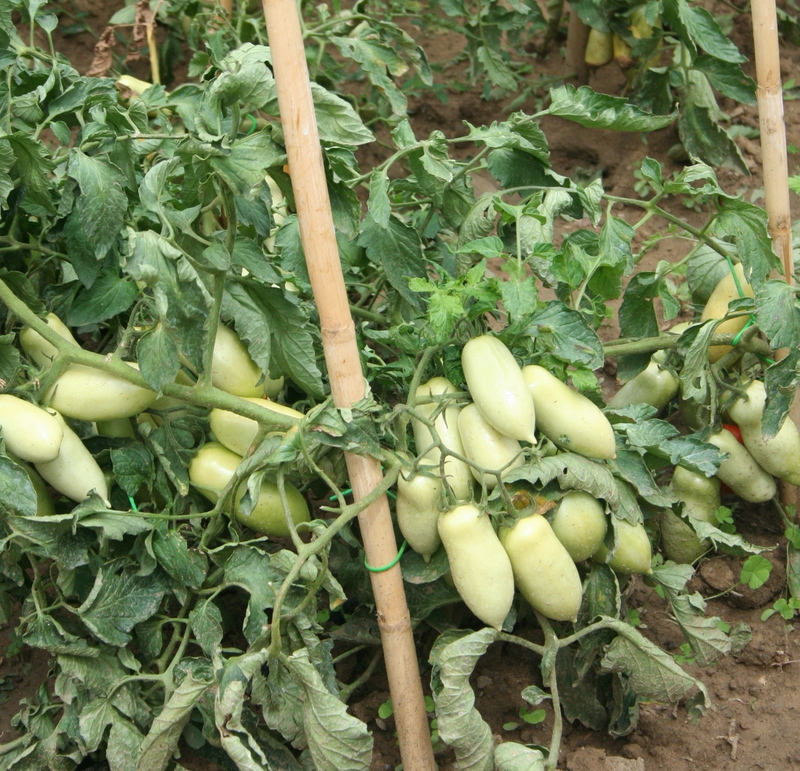 Eating vegetables just picked from a garden is a luxury for Americans—but the norm for Tuscans. 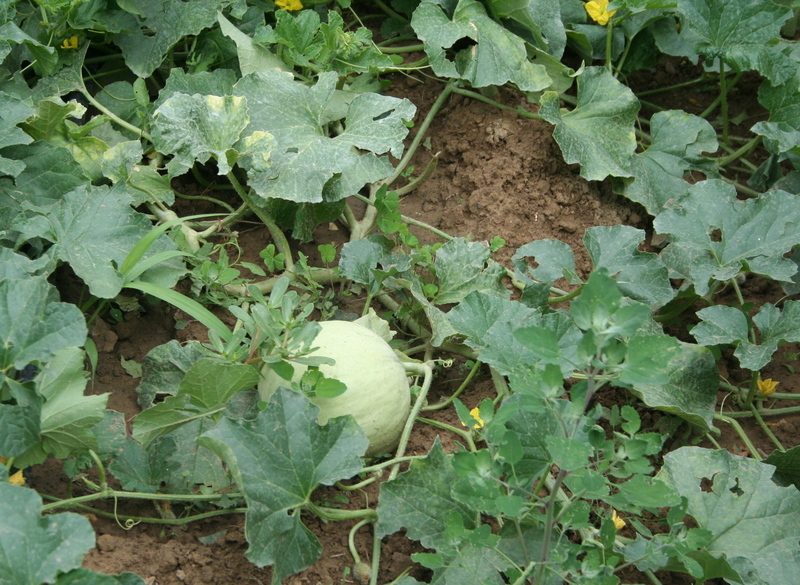 Massive round zucchinis grow in many backyards. In every yard of field, you’ll find gorgeous, plentiful gardens. 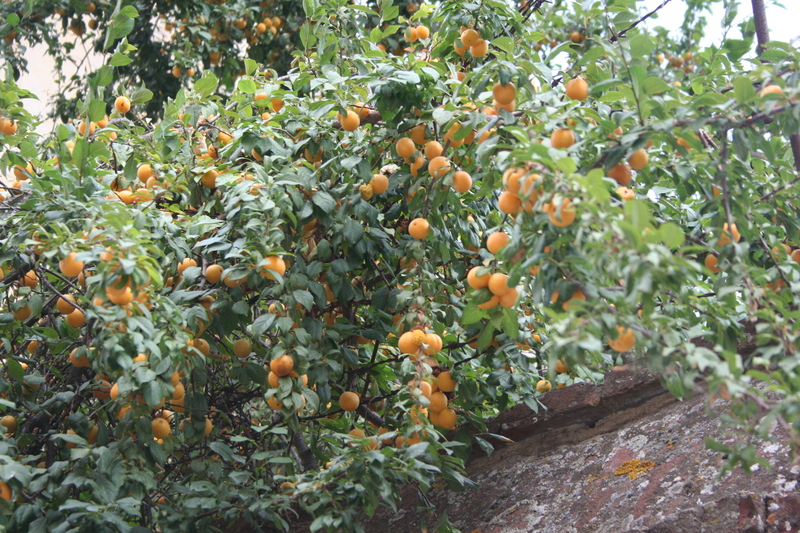 Apricots dangle temptingly down a local wall. 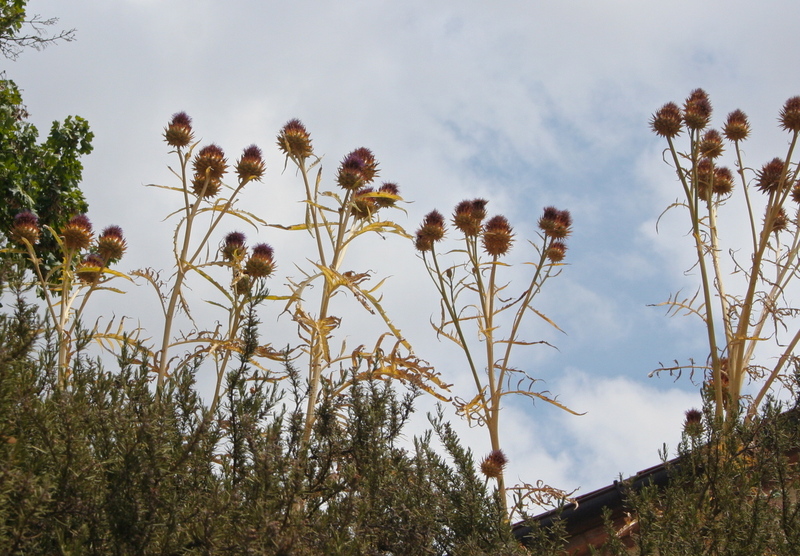 And many of the fruit and nut trees, bushes and plants I photographed during a recent morning walk through our Tuscan village were found along the roadside or in ditches or over walls. 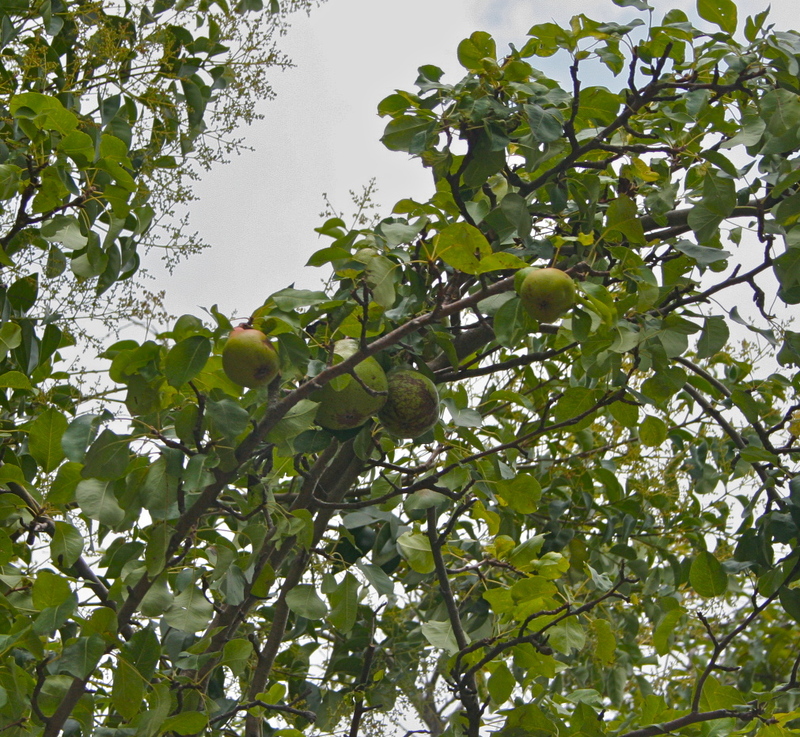 It’s remarkable the sheer amount of fresh fruit and nuts that I found on a one hour stroll! 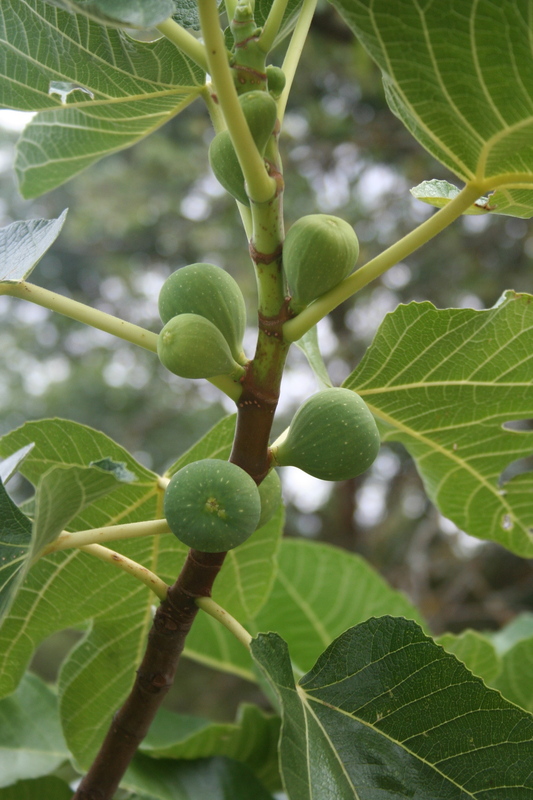 Fig trees like this grow along the roadside with plentiful fruit almost ready to be picked. 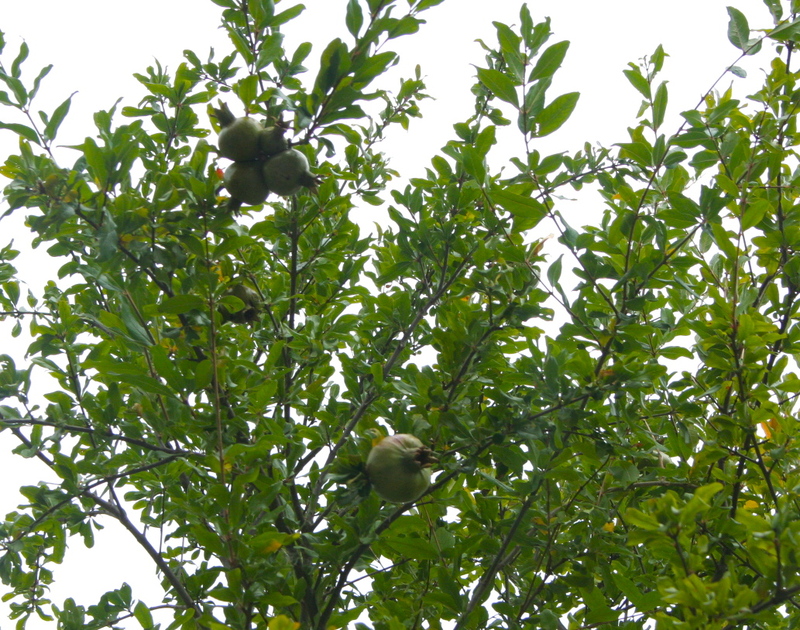 It seems that walnuts, almonds, apricots, figs, plums and artichokes (carciofis, my favorite!) grow like weeds in this area of the world. 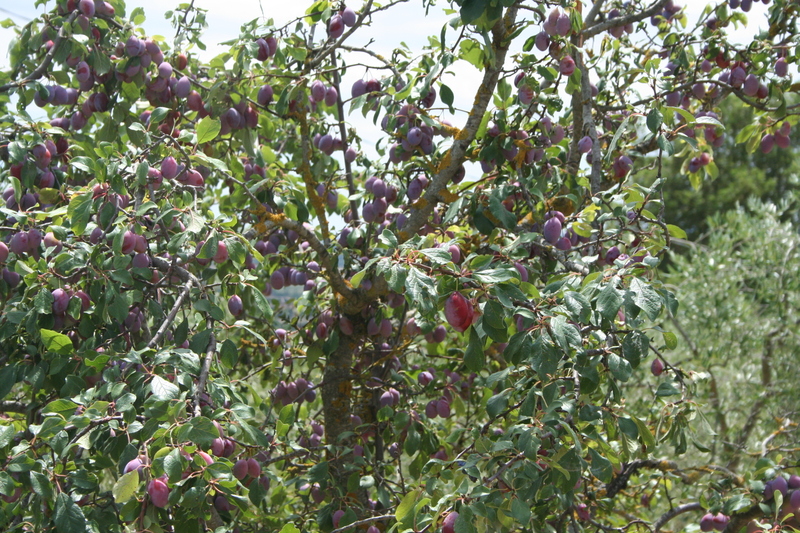 Yummy plums along a dirt road. 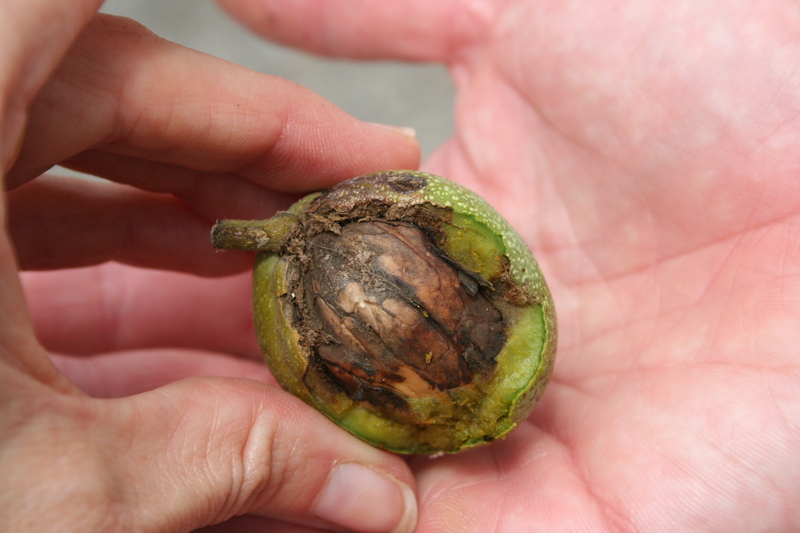 A walnut dropped on the road from a plentiful, old tree. Mysterious blue berries in a ditch near an abandoned field. 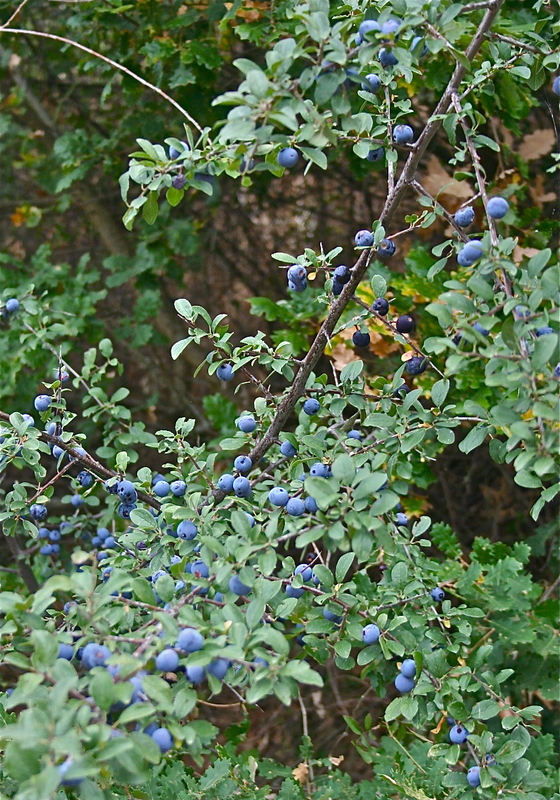 They weren’t our blue berries, as we tasted them! 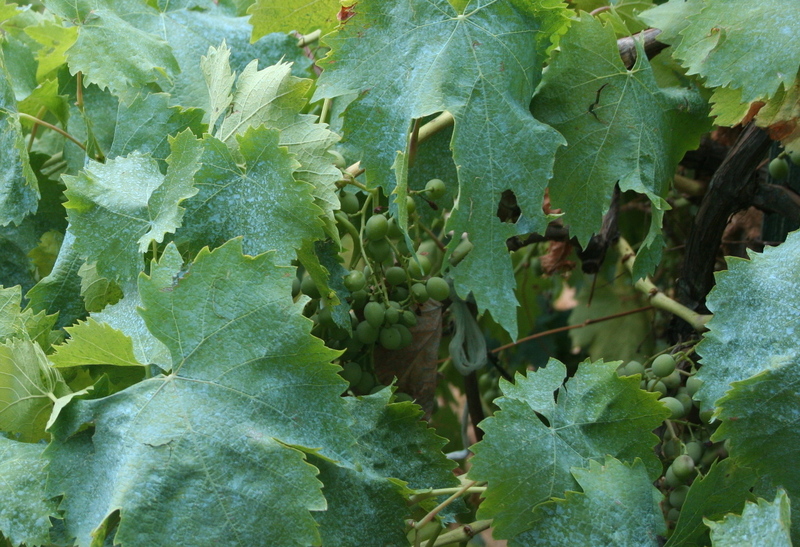 Perhaps ripening black currants? 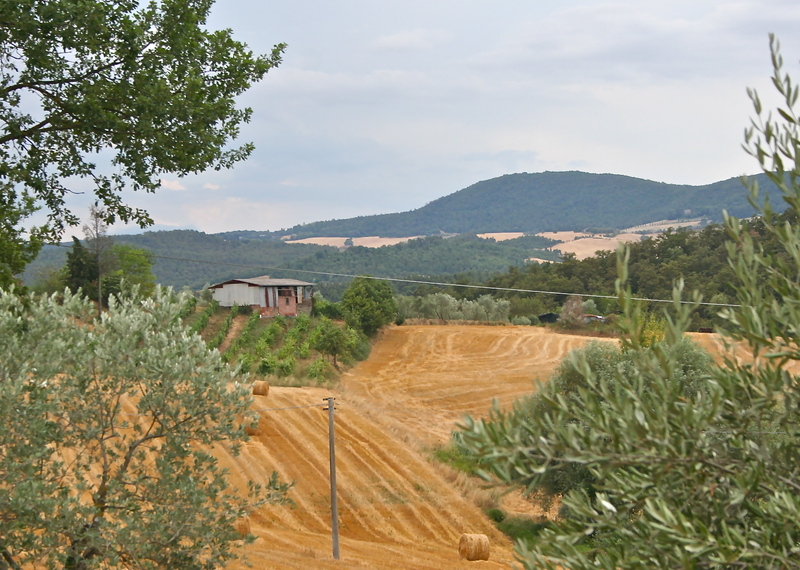 As we looped back around from town and through the surrounding fields, we then, of course, came across the staples of Tuscany: grapes from vineyards with champagne grapes, semolina wheat fields and olives. 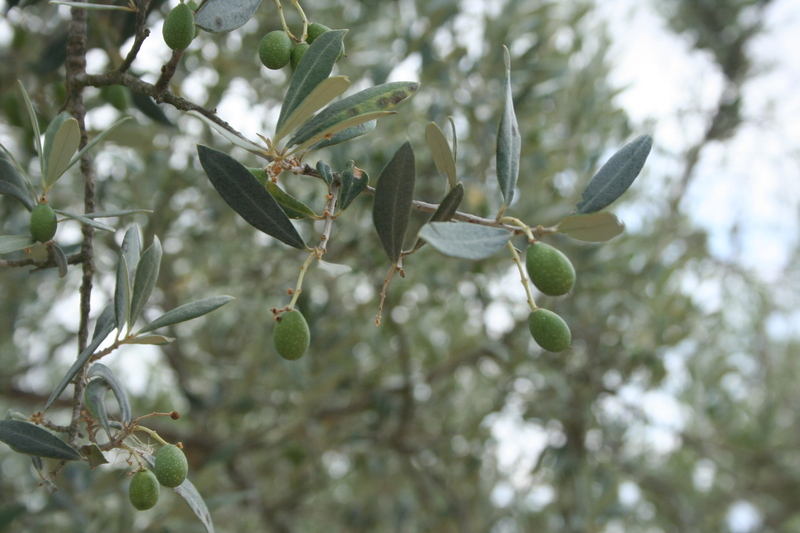 Olives, almost ready for harvesting. Semolina wheat field recently harvested. 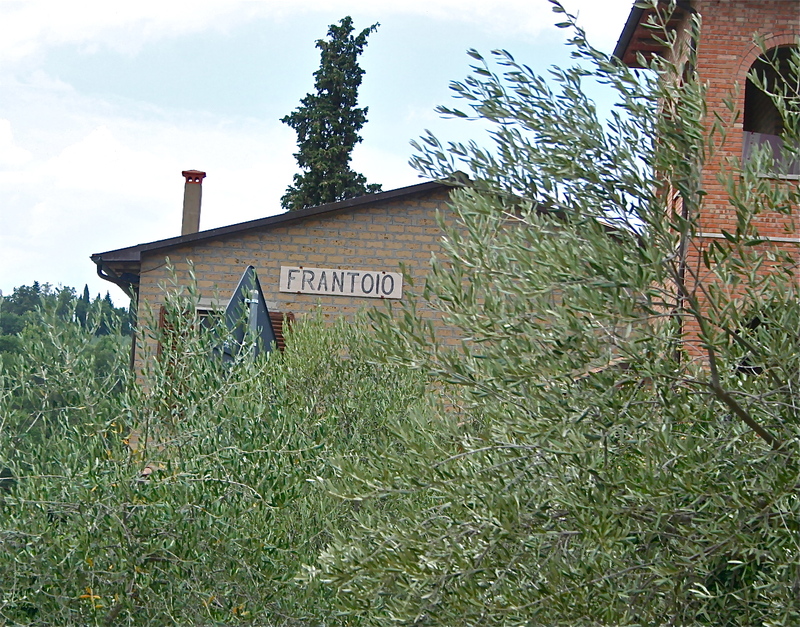 The local Tuscan olive oil company.